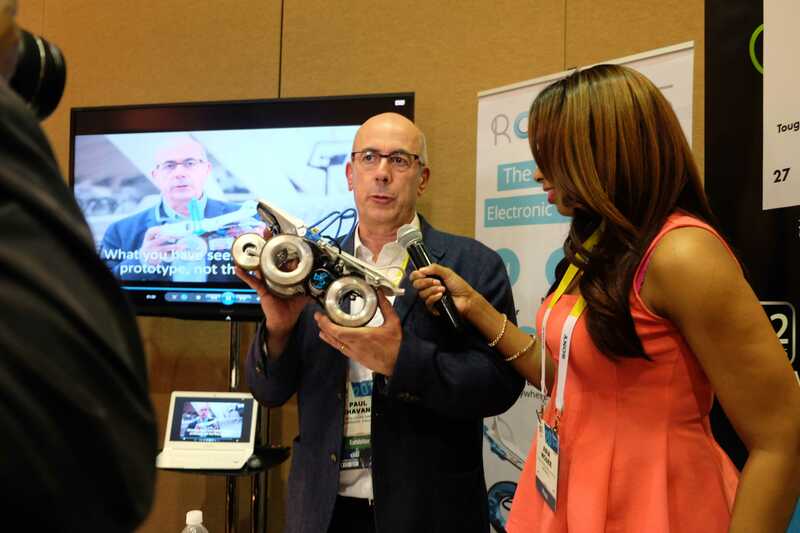 The tech on show at CES ranges from the everyday to the bonkers, and Rollkers are definitely on the crazier end of the spectrum. The somewhat awkwardly-named invention slips over your existing shoes (even high heels, I was surprised to learn) and turbo-charges your walking. You go twice as fast as peons using their actual feet, and look like you’re skating without wheels. Essentially, this is a wearable version of the conveyor belts at airports that make you feel like you’re striding at superhuman speed until you get back on the carpet and suddenly feel disappointed with your powerless legs. You can walk at up to 7 miles per hour using them, and since you’re just doing a normal walking motion (it looks like skating, but you move your legs in the usual way), there’s no training needed. You can even walk up stairs in them, though you look a bit ungainly. 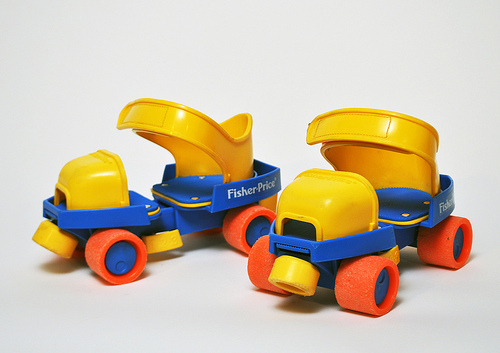 In short, Rollkers are like a robotic version of the Fisher Price clip-on roller skates we all wore when we were little. If that doesn’t make you feel like you’re living in the future, then you’re probably already a robot. Rollkers “electronic undershoes” are currently still in development, but hoping to launch later this year.